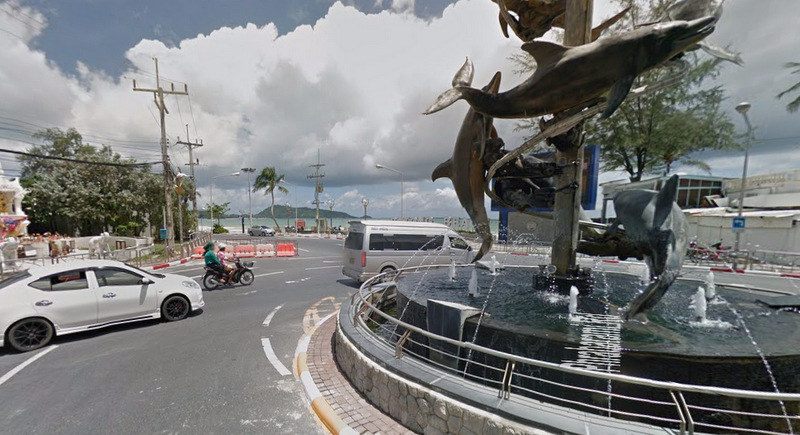 PHUKET: A Russian man and his Thai passenger died before dawn on Saturday morning (May 27) after the motorbike they were riding hit a roadside power pole at the “Kalim Junction”, near the roundabout at the northern end of the Patong beach road. Russian national Dmitri Isakov, 31, and his passenger Nukan Phengkrajom, 29, from Khon Kaen, suffered extensive injuries in the impact, which occurred at about 5am, reported Lt Col Weeraphong Rakhito of the Patong Police. The two were riding on a Honda Click motorbike. No helmets were found at the scene, he added. Rescue workers took both men to Patong Hospital, where medical staff pronounced them dead at about 6am, Col Weeraphong said. And all this time I thought the issues were excess speed, excess drinking, drugs, lack of motorbike experience and just basic lack of good judgement (a.k.a. stupidity). Seems that parked cars, power poles and slippery roads on Phuket are real killers.